Walk through each of the 24 Affirmation cards you received in detail: journal and prayer prompts and insights on how to personalize each one. 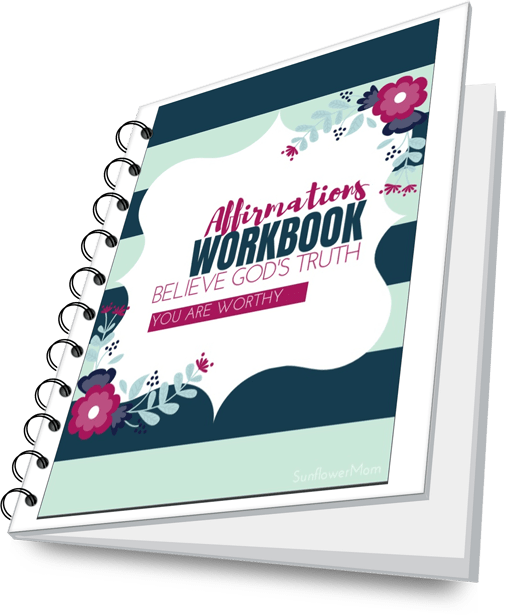 This workbook guides you on personalizing the affirmations so you can replace the word of the enemy for good with God's word. Taking one affirmation a week, allows you to soak in God's promises and learn a new habit that incorporates learning your identity in Christ. Want a peek inside the Affirmation Workbook?